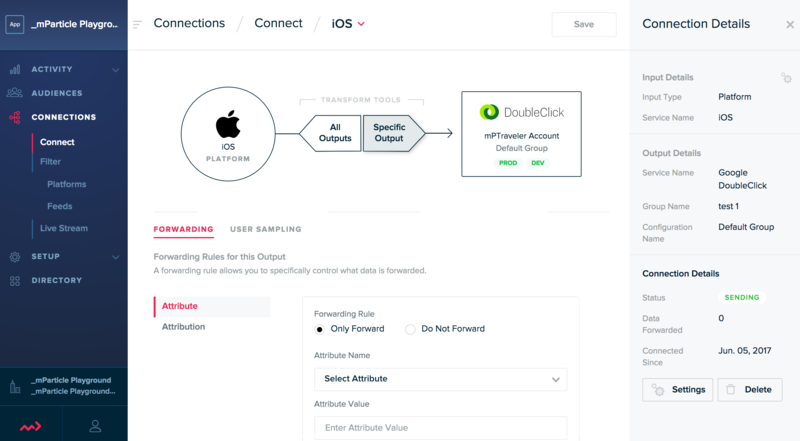 Gather all your user data in a single platform and redirect it to your Mobile CRM. mParticle is the customer data platform for the connected age. Sophisticated marketers at companies like Venmo, NBCUniversal, Spotify, and Airbnb use mParticle to integrate and orchestrate their entire marketing stack, enabling them to win in key moments of the customer journey. Founded in 2013, mParticle is headquartered in New York City with offices in San Francisco, Seattle and London and manages more than 500 billion API calls monthly. Why should you connect mParticle? mParticle offer you the possibility of gathering user data coming from diverse environments (web, mobile, tv, alexa etc. ), and you may want to use this data in Batch for segmentation or even message personnalization purposes. Thanks to this connector, mParticle unified user data will be available on Batch. mParticle's Audience allow you to segment your userbase thanks to your unified user data. Our partnership also allows you to send those Audiences to Batch in the form of Custom Audiences, directly available in your push notification and In-App campaign targeting engines.